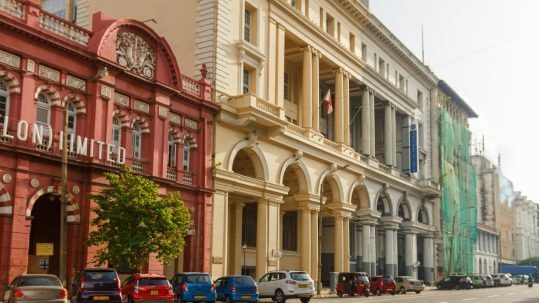 Fort is Colombo’s centuries-old powerhouse. This is where history was made in the past and where it’s made once again. 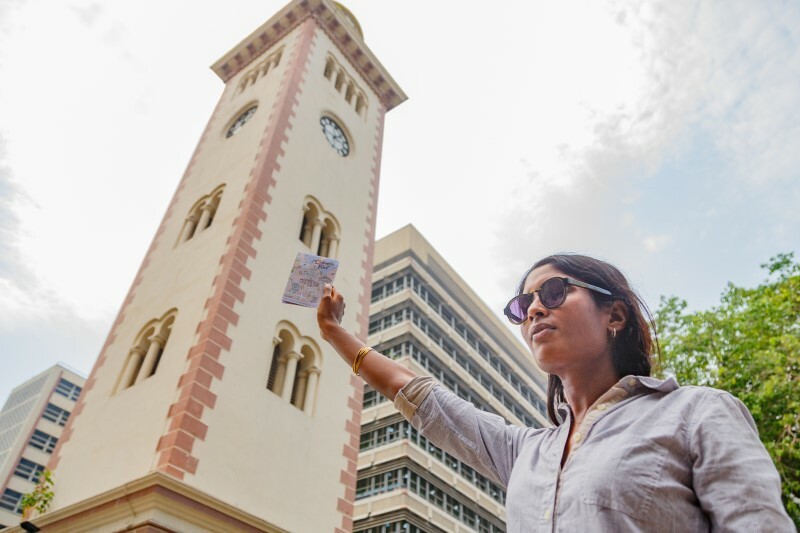 The historic centre – off-limits for a long time – is now undergoing a facelift, bringing back Fort’s vivacity and old grandeur. Run-down colonial buildings get a fresh coat of paint and new café’s and shops open along the cobblestoned streets. Fort has always been the heart and soul of the city and the recent revival created a good moment to start revealing some layers of its grand past. 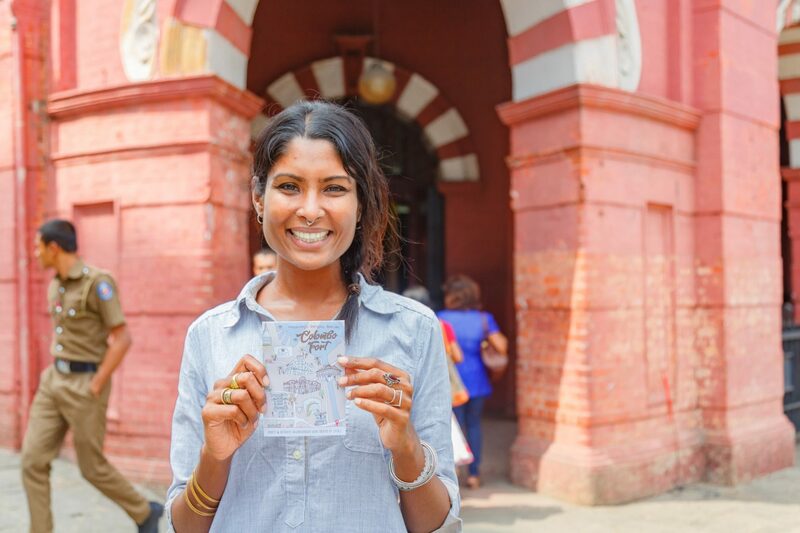 The Colombo Heritage Collective, a passionate group of young locals went around the streets of Fort collecting stories of buildings and people and put those stories on a map and in an app. They asked the very talented Mika Tennekoon to create the illustrations and the result is a lovely pastel coloured map that features the most authentic places to see, shop, drink and eat in Fort. 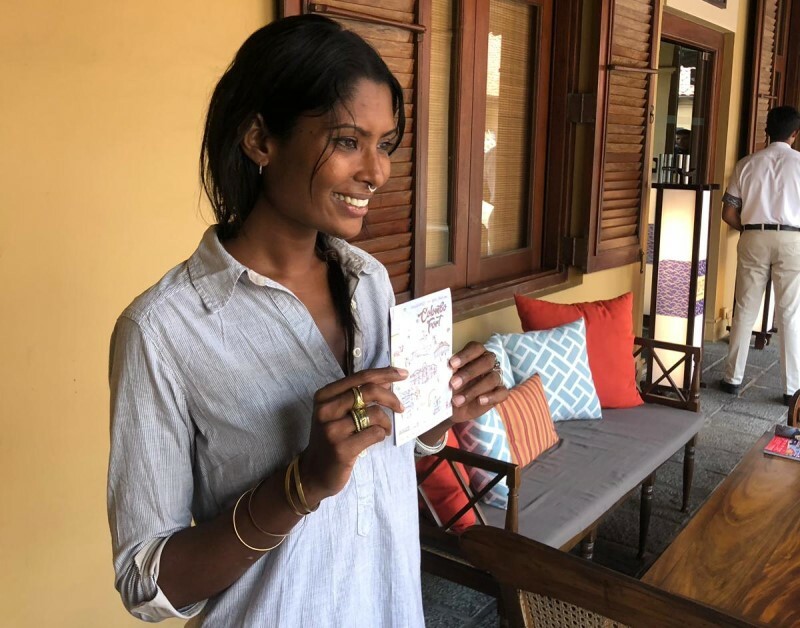 We caught up with Mika at the Dutch Hospital to find out about her creative inspiration and her favourite places in Colombo’s #01 historic hotspot, along with her Colombo Fort map guide. 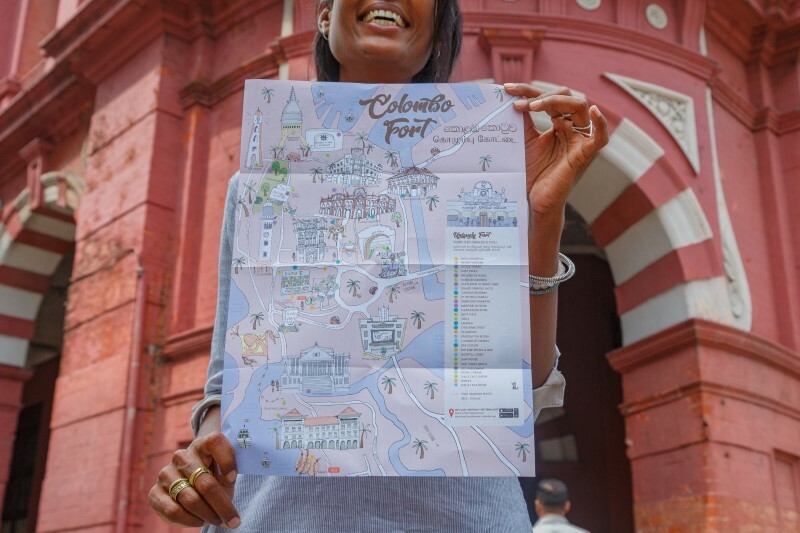 Why did you choose the pastel colours for the Colombo Fort map? Most of my work is bright and colourful, but I felt that a lighter pastel palette better fitted the long history and the grand architecture of the place. Before I started drawing, I spent an evening driving around Fort to feel the atmosphere and see how much had changed over the years. The streets were quiet and it was a good opportunity to reconnect with the place and look at the buildings in all their splendour. So handsome and sturdy, but ignored and neglected for so many years. Tell us how your drawings capture the spirit of place? I remember coming here as a child. My dad brought us to the Bank of Ceylon, which was then the highest building in town. 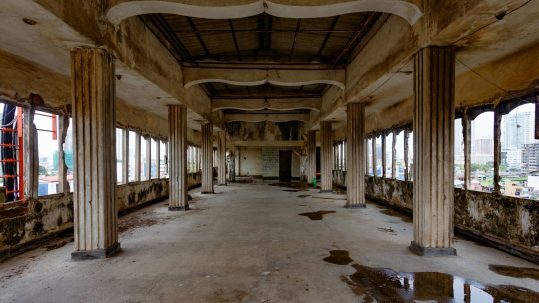 We went all the way up to the top floor with the elevator, one of those old ones with the steel shutters, it made a huge impression. Fort Station also is a memorable place for me, from there we’d take the train up-country. Each individual illustration is a hand-drawn memory of place. For example, on the way to the station there was this newspaper guy, I so vividly remember his face, he’s now on the map. I don’t think my generation fully realises what a happening place this must have been in the old days. Since working on this project so many people shared their own Fort memories, stories about fun picnics in Gordon Gardens, live bands playing in the Grand Oriental Bar and long nights out in Chatham Street. What is Fort for you? 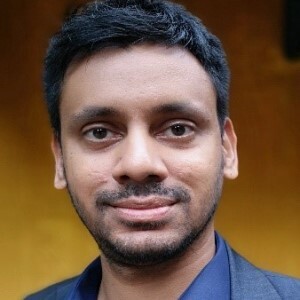 I was away from Sri Lanka for a few years, I was in the UK, Vietnam, India. Since coming back, I see this face-lift of Fort. All these crumbling buildings now being renovated, they look so fancy now, amazing. It’s like Colombo people start appreciating the history in the midst of all these new skyscrapers. I hope the beauty and the character of Fort can be conserved and we will not see more high rises going up in this part of town. While working on this map I’ve added a new place to that list. I knew of the Sambodhi Chaithya, but I’d never been inside. The curved walls with Buddhist murals are absolutely stunning, a must-see! Finally, share with us some of your favourite places. 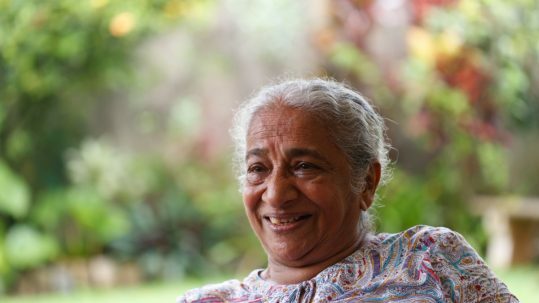 I used to come here a lot in the days that Colombo Fort was more of an off-limits place. The little terrace bar at the Grand Oriental was one of these hidden places, few people knew about it, but it had cheap beer and the best view in town. But perhaps my all-time favourite place is the Galle Face Green. I love going there for Isso Vade and to enjoy the breeze and the relaxed atmosphere. I must have photographed the view a thousand times. 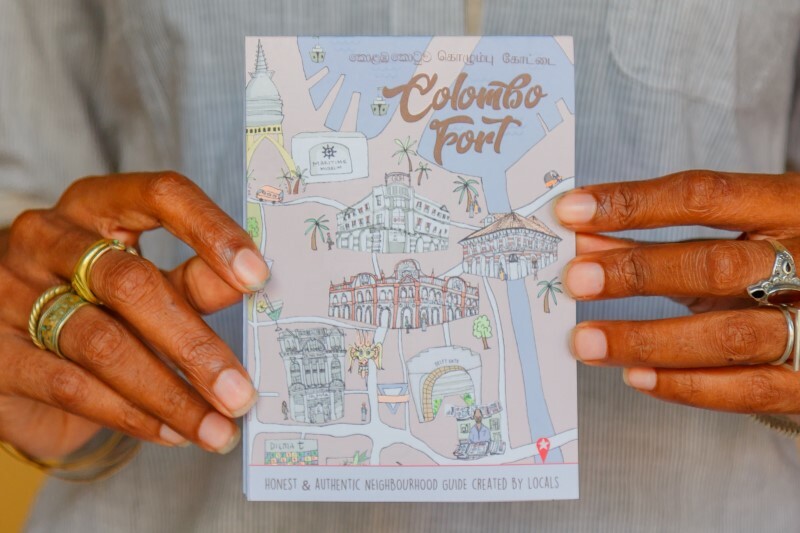 Travel like a local in Colombo with the iDiscover Colombo Guide featuring four handcrafted itineraries that show you the honest and authentic places in the city’s most historic neighbourhoods: Fort, Cinnamon Gardens, Slave Island and Pettah. Comes with a free app that is packed with background stories and insider secrets! 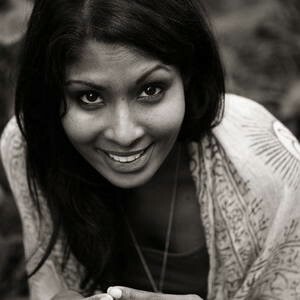 Mika Tennekoon is a carefree and creative spirit inspired by deep cultural traditions of her country. She’s most happy wherever there’s sun & surf. Follow her work.